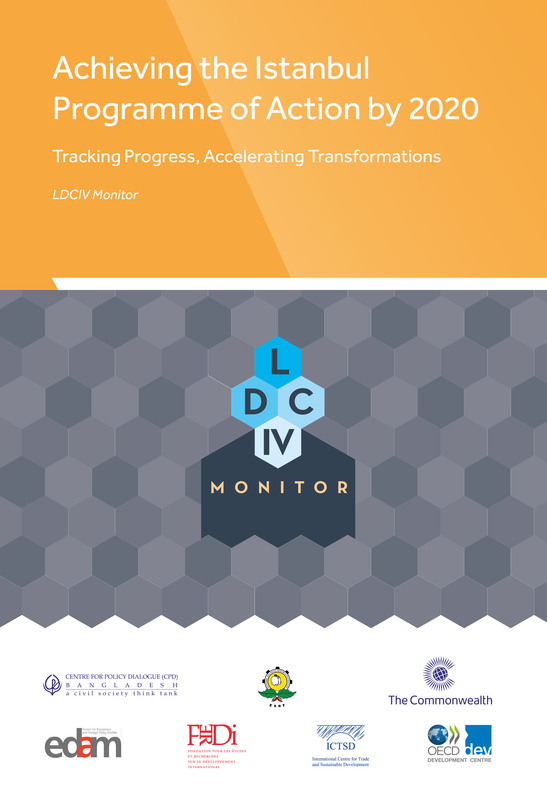 Achieving the Istanbul Programme of Action by 2020: Tracking Progress, Accelerating Transformations is the second contribution from the LDC IV Monitor – an independent partnership set up to assess the outcome of the Fourth United Nations Conference on the Least Developed Countries (UN LDC IV) with a view to accelerating the delivery of the Istanbul Programme of Action (IPoA). The volume highlights recent critical achievements and missed opportunities for the LDCs in the context of an unfavourable global economic environment and inadequate delivery of global commitments. Along with this, it focuses on four specific themes: structural transformation and export diversification in the LDCs; prospects of graduation of countries from the LDC group; implications of the 2030 Agenda in view of LDC concerns; and new challenges facing LDCs in their pursuit for achieving Sustainable Development Goals (SDGs). The Monitor’s earlier contributions included a set of two reports tracking the state of implementation of the IPoA – a volume on Analytical Perspectives and a Synthesis Report which captured the broad messages and key recommendations. 2. Prospects of Graduation for Least Developed Countries: What Structural Change? 2.5 How fast has the change been in the structural features of graduating LDCs?